I'm new here, so hello to everyone! It seems I'm having a problem with NanoDLP or I guess more with the config.txt on my Raspberry Pi3+ for my particular display. with the HDMI to MIPI converter. The interesting thing is that if I use my current config.txt setup with a 'Raspbian Stretch with desktop' the display works (Pixel Desktop shows up and I can use the graphical user interface with no problems at all). But when I install the NanoDLP image and use the same config.txt the display is not working so well anymore. Very strange. Try install nanodlp on 'Raspbian Stretch with desktop' see if it works correctly or not. But still the same problem prevails, showing the 'Dynamic Calibration grid pattern' shows for a very short time the correct image and then its replaced with the screwed up one. Using 'Preview Layers of Plate' shows for a very short time the correct layer and then it vanishes. Clicking on the next layer button shows nothing further. Not sure what to do now, have already played/ changed a lot in the hdmi_timings setup but no value combination I came up with did solve the problem. I'm still puzzled why the PIXEL desktop runs fine with the current config.txt file and NanoDLP has problems with it. NanoDLP must do something different or the Pixel Desktop does something after the GPU was configured with the values in the config.txt file. Could you disable nanodlp using systemd and see if pixel working fine or not? Maybe modifications on config.txt by nanodlp causing this issue. Desktop comes up and everything works fine, started LibreOffice Calc with lots of small lines/ Tables looks perfect. and restarted, same problem as before. How can I get the debug file (I guess nothing happened so no need to create a debug file...)? 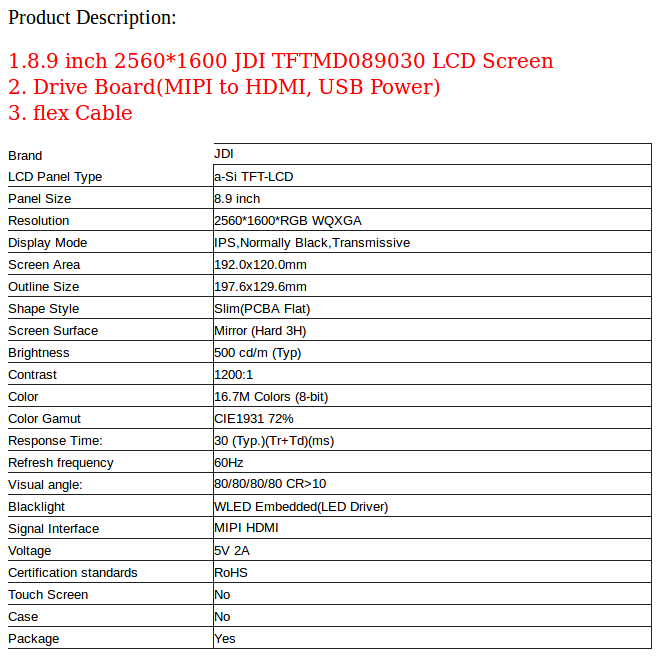 I contacted the company that designed the HDMI to DSI board and asked them for the config.txt file for my JDI TFTMD089030 LCD Screen. The same screen is advertised in their fact sheet as being tested with that same adapter with a Raspberry Pi. They sent the config file to me and I tested again, and it worked....for a while (a few minutes of activating and deactivating the dynamic calibration) and then it didn't work anymore. So I'm pretty sure now that I really have the correct configuration in config.txt for this display but still it doesn't work reliably with NanoDLP. 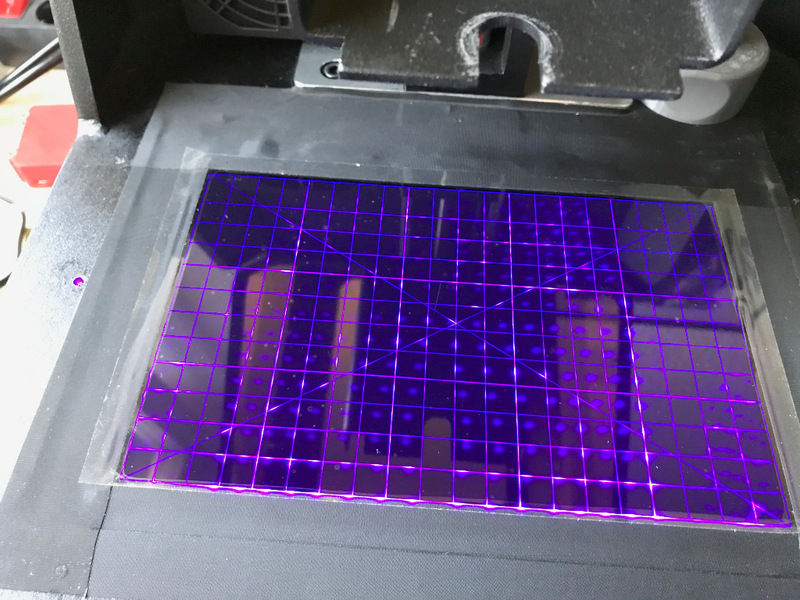 What I just found out , is that if I leave the dynamic calibration image or a layer switched on for a while, the whole LCD seems to work after a while, without further hiccups. It seems only after a restart that the screen has problems to display (sync??) correctly. Once it has synced it seems to work fine. Haven't figured out how long it takes, will investigate more tomorrow. It takes almost exactly 10 minutes, after that the display works. Tested this with two displays and two HDMI to DSI converters. I suspected that this might be a temperature related problem but two displays start to work after 10 minutes of failing to display the correct image - no way! Well that is embarrassing, I was able to get a debug file, it just downloaded so fast I didn't notice (stupid I know). I am having exactly the same problem with the same LCD. My 'solution' was to start up the printer, leave the display on for 10 minutes and then never shutdown the PasPi again. I'll try the setup that worked for you and report back! I bought the same LCD for testing. The board was causing me a lot of trouble, I could not get it to work, even under Windows. I think I got a broken hardware. hi , I think I also damage the board but when I connect it to my windows pc it says screen is detected but no image on the screen.Do you have the same problem?I am trying to find the problematic component . 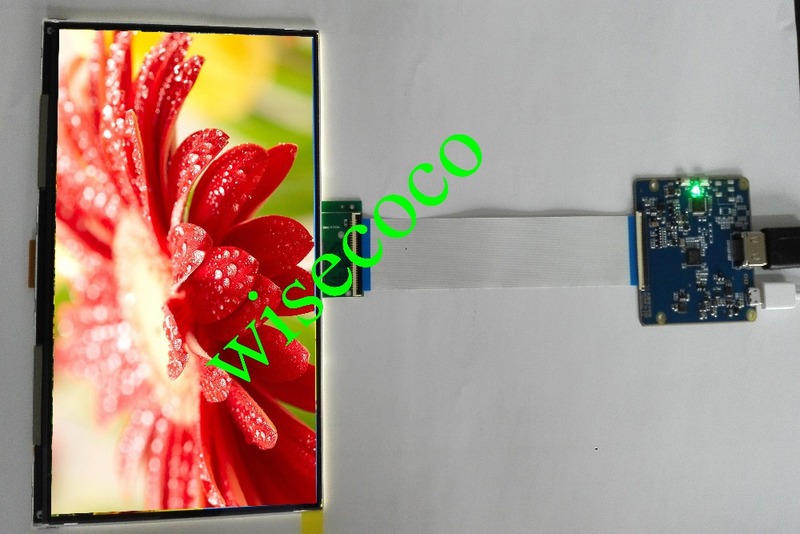 is it lcd screen or driver board . Lcd screen was working then stop showing any image. But driver board turns to green light when I connect t windows pc. I had exactly the same behavior. I could exclude the display, since I have a second display to try out. Therefore, I got the specified board and with this it worked immediately. Okay thank you I will give it a try and buy specifided board.I hope it will work . Looks like I'm in the same boat. Same display, but a different controller. I am ordering the other alternative board (with an LCD as a backup), but I'd like to continue this discussion with some things that I have found. The settings listed above for the config.txt file will work, to a degree. During boot, the screen displays everything just fine. It's not until you actually try to display something in NanoDLP that it starts to fall apart. When everything is set up for 2560x1600 (75um X/Y resolution), the image fails after a second or two, regardless of whether it's the calibration image, or a slice preview of a model. If you drop the resolution in NanoDLP (not in the config.txt file) to 1920x1080, the picture comes up perfectly, albeit small. Does this help point to something? Is there an issue at this resolution that has yet to be caught? Is it really just crappy hardware? 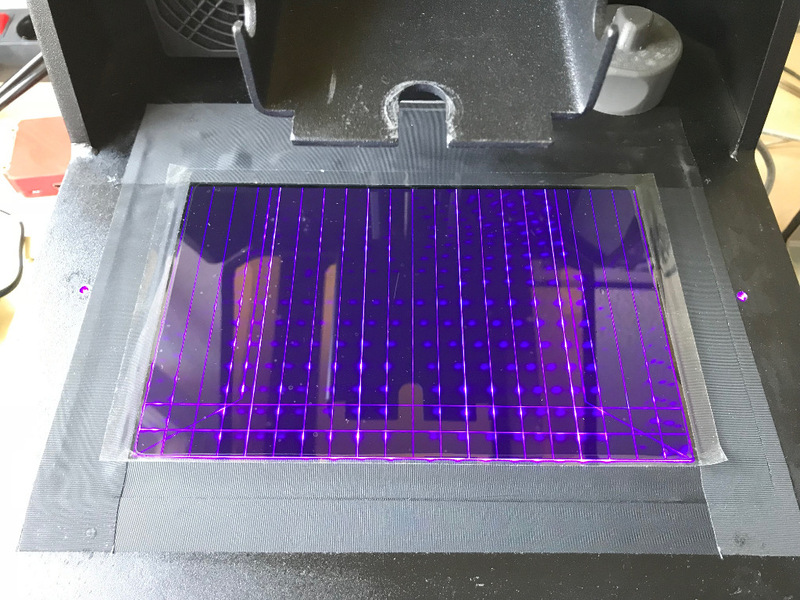 Well, the board and LCD that was recommended in a previous post yields the same results, so that was a little disappointing. I played around with the NanoDLP resolution settings (the settings in config.txt work perfectly outside of NanoDLP) and managed to get the calibration image to display without any flicker or artifact at 2440x1600 (native is supposed to be 2560x1600). While I can live with that for the time being, it's a little irritating that I cannot take full advantage of the resolution of the screen. Question... I struggled with getting my screen to work for a long time. Realizing that the raspberry pi's build in firmware does a lot of controlling when it comes to the HDMI output. I upgraded to the latest version of Dabian on the PI then went back to my NanoDLP image and at last my problem went away. I have a post about my ordeal on the forum. Have you updated your firmware? Have another Pi to try?